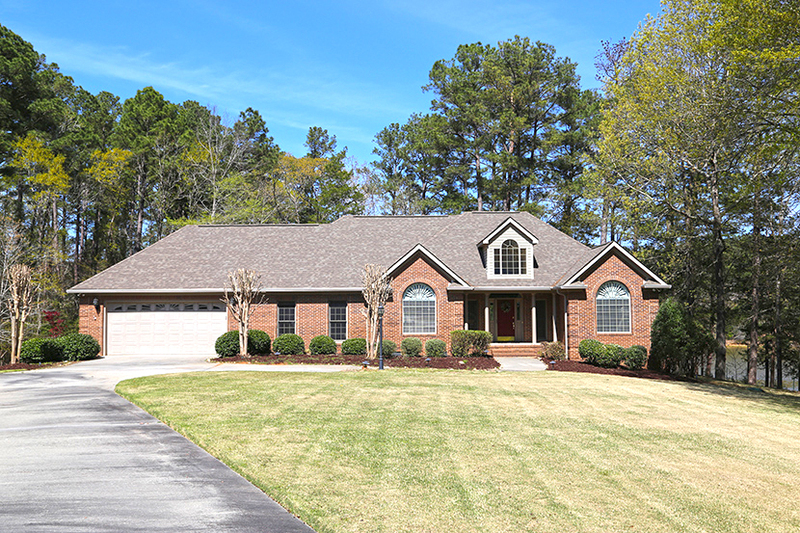 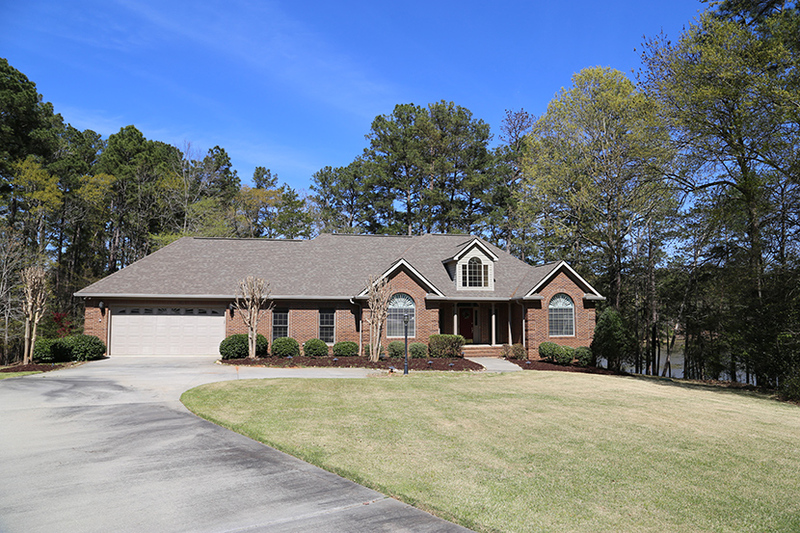 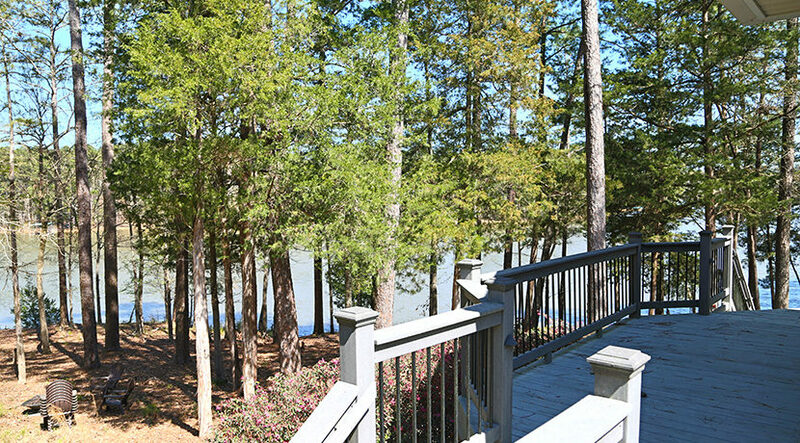 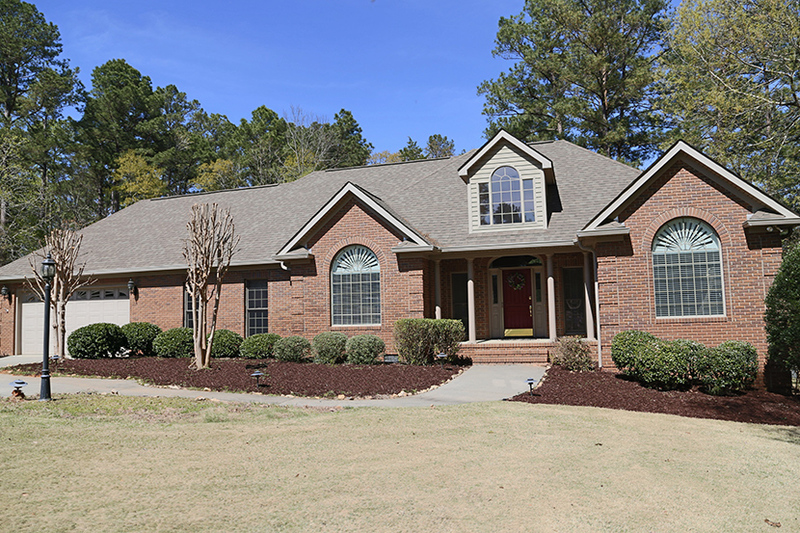 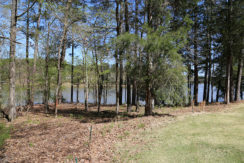 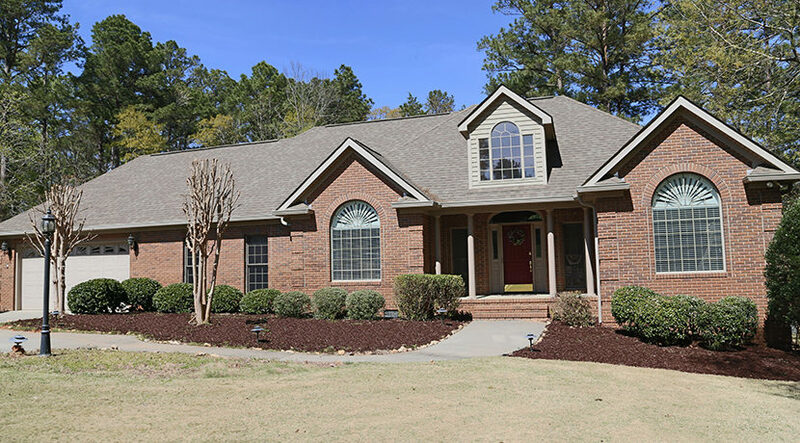 What a fantastic lakefront home, professionally landscaped with in-ground irrigation. 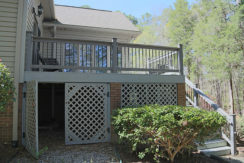 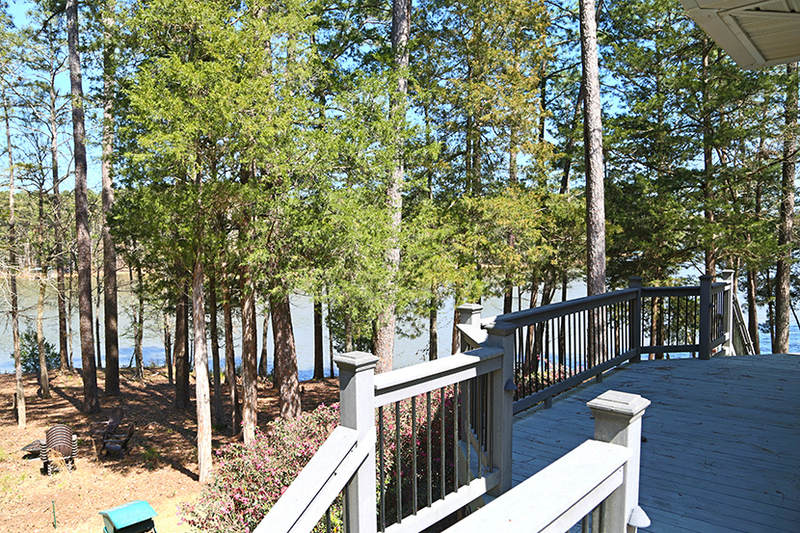 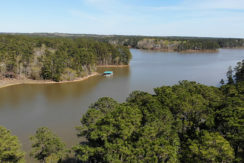 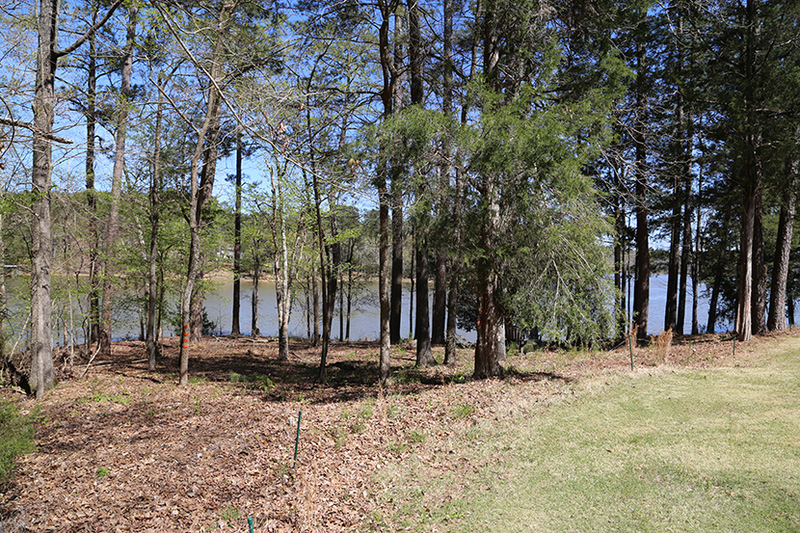 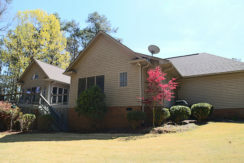 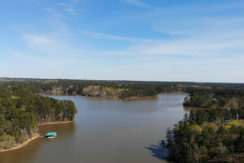 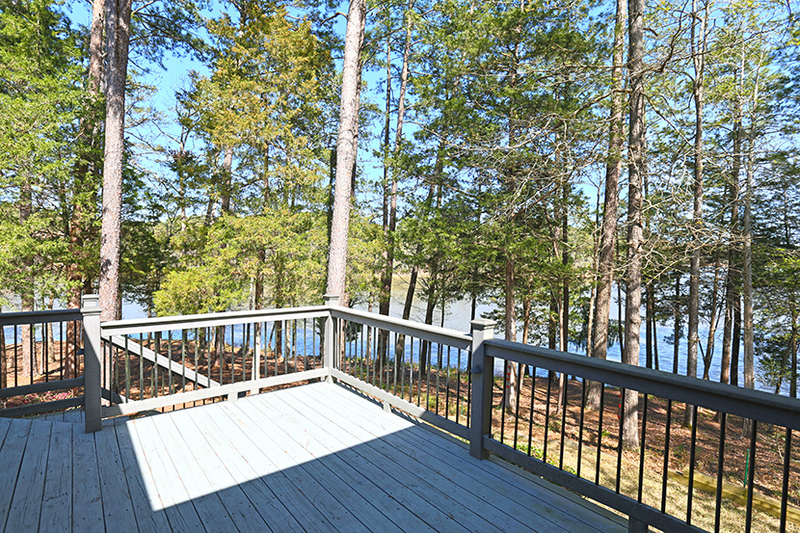 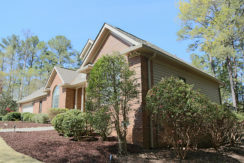 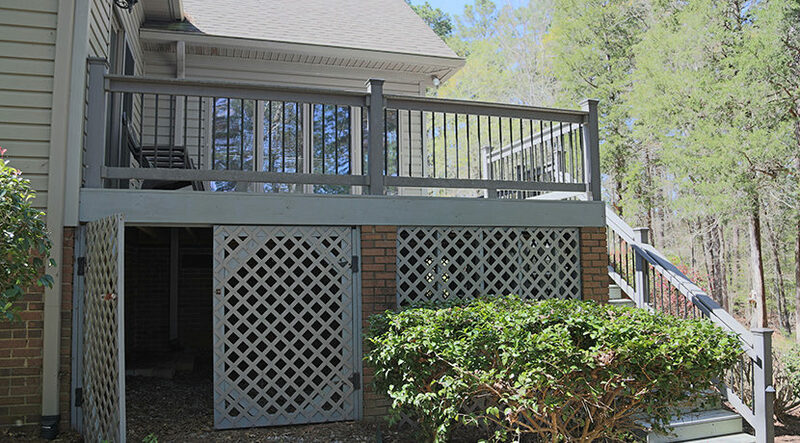 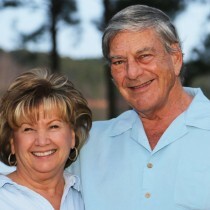 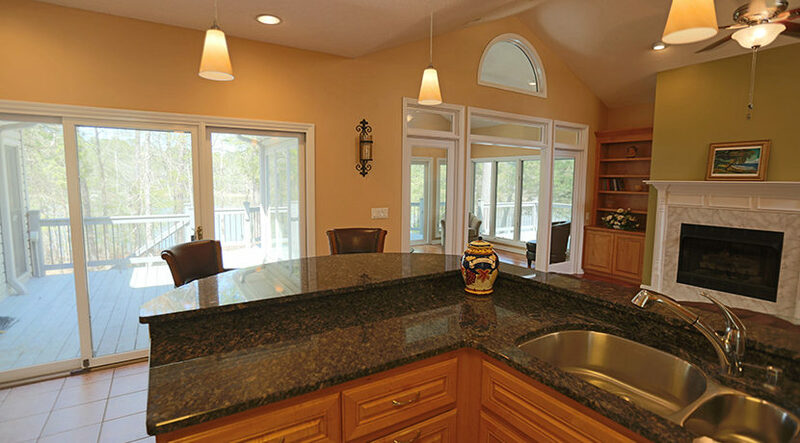 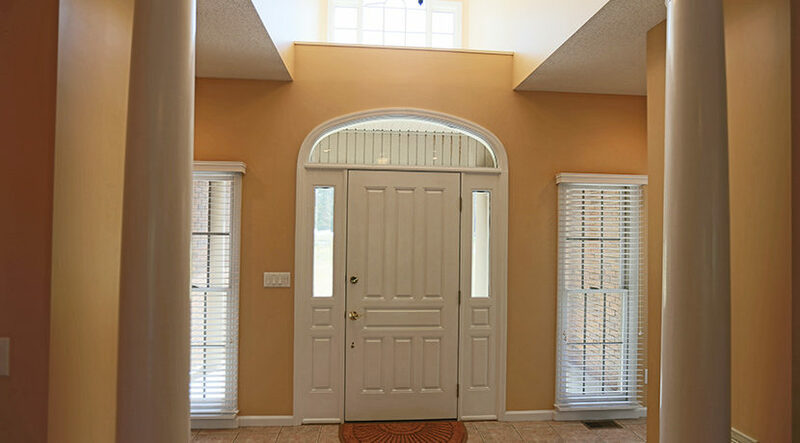 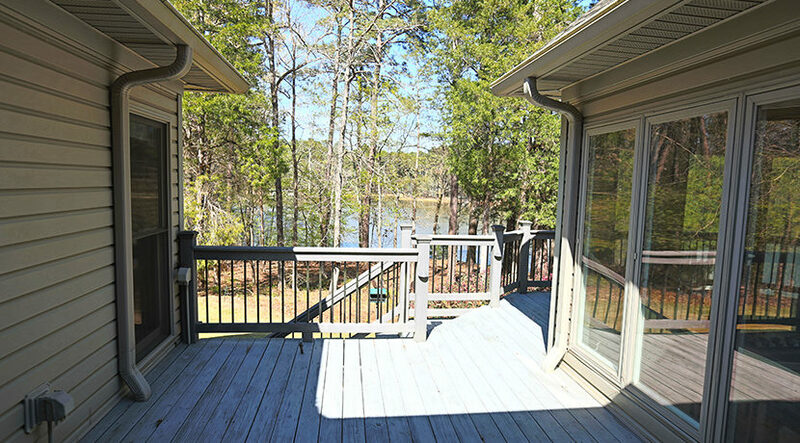 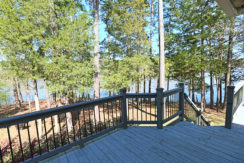 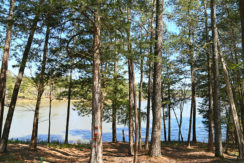 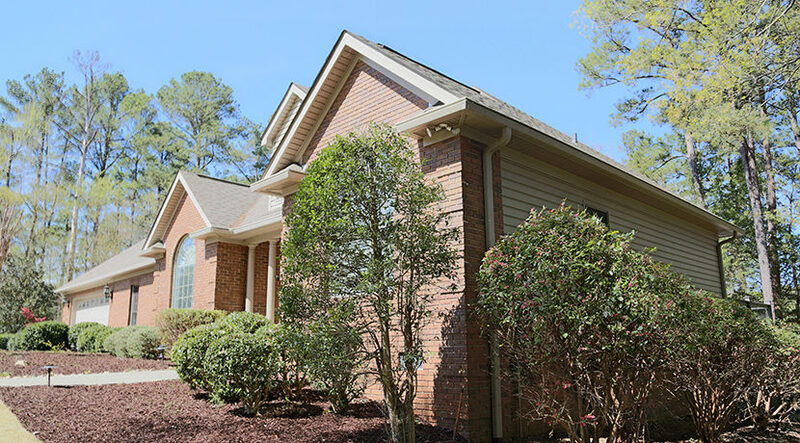 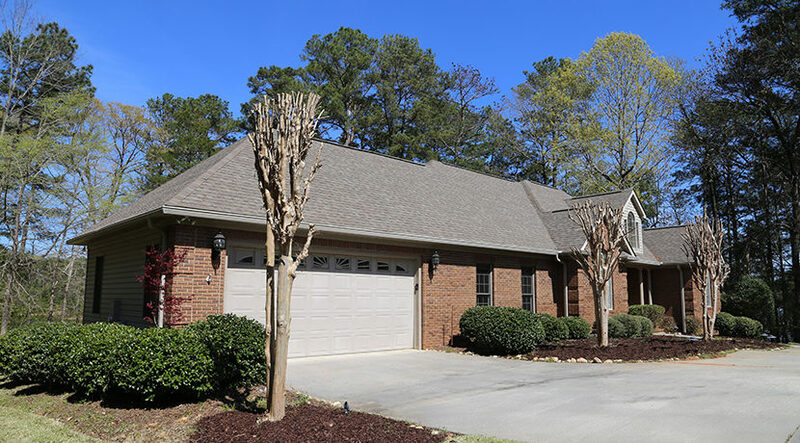 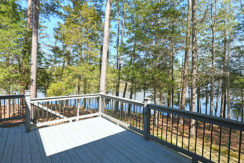 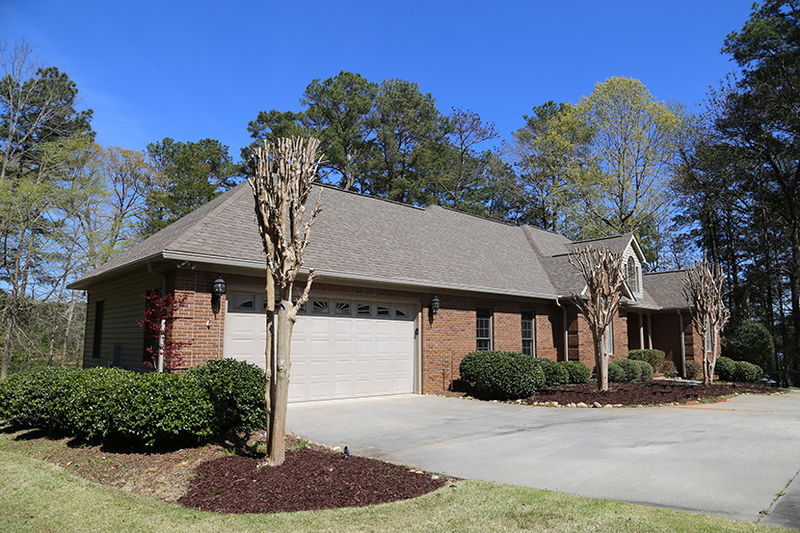 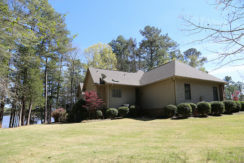 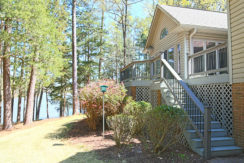 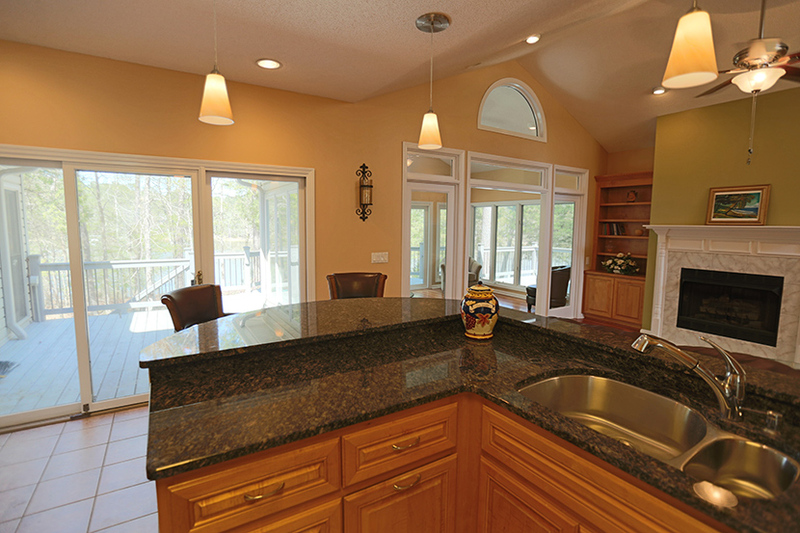 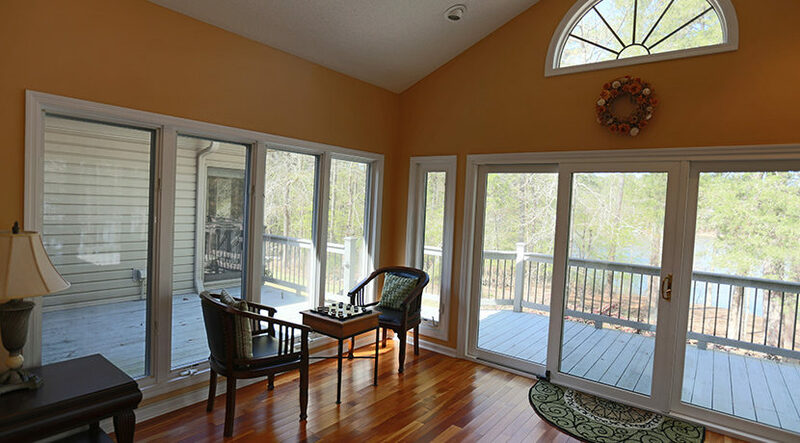 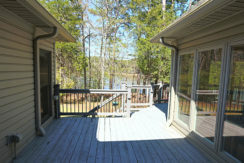 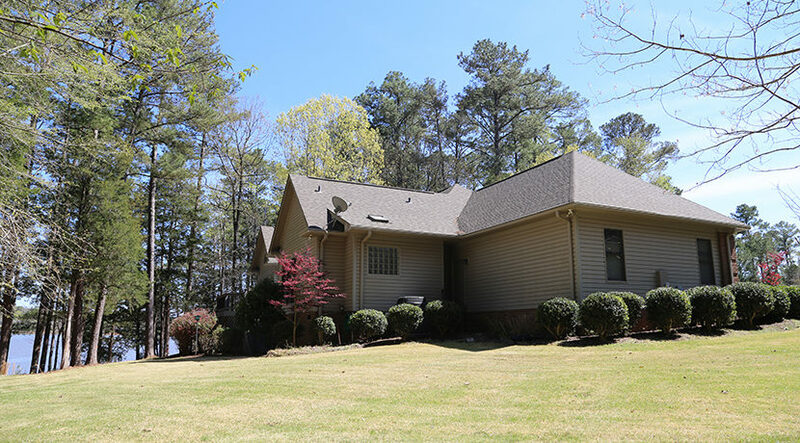 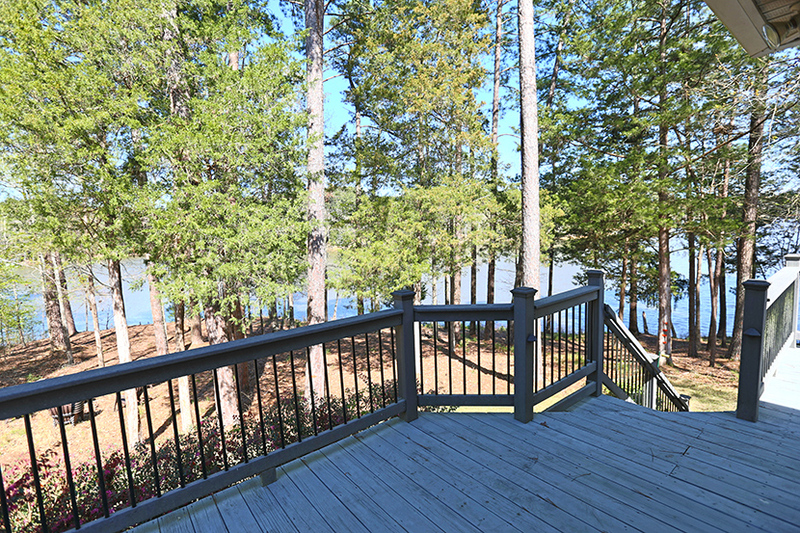 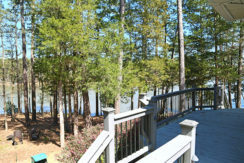 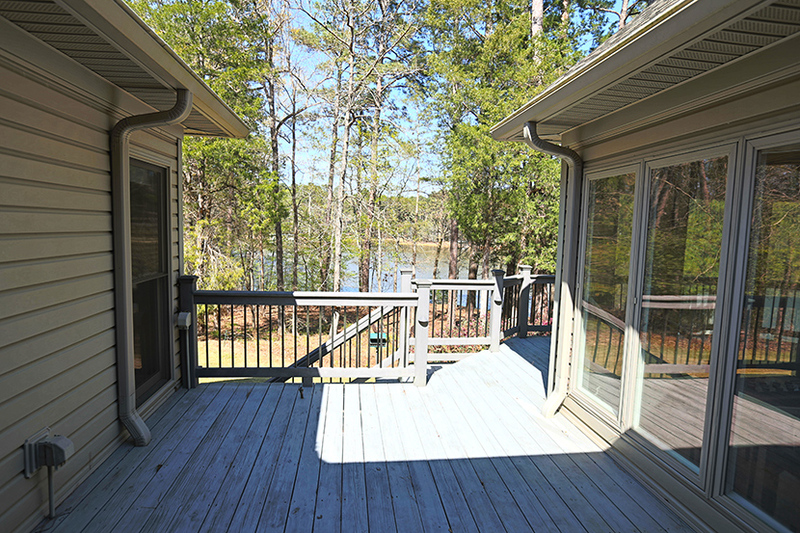 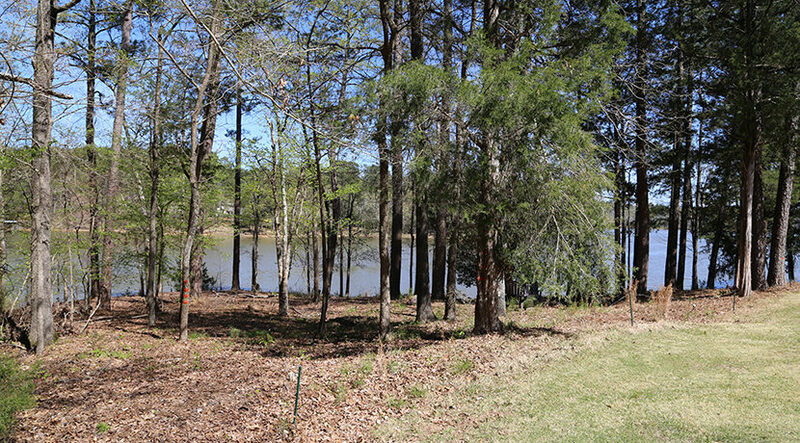 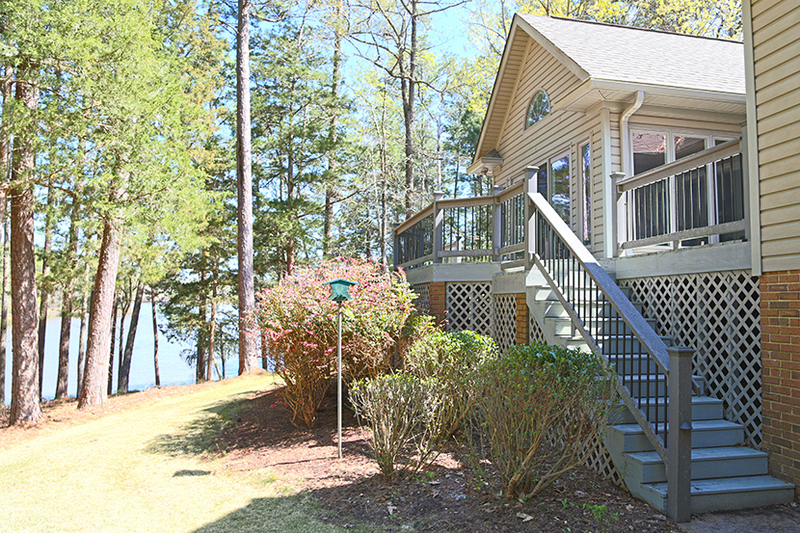 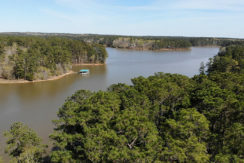 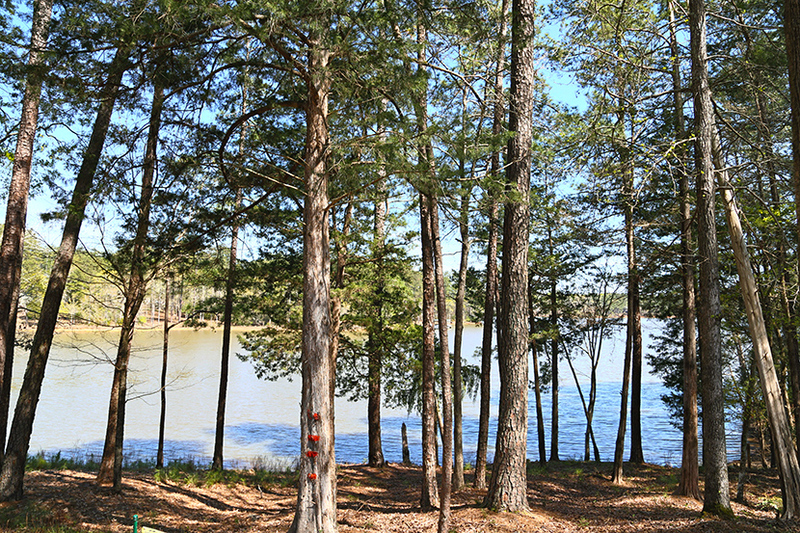 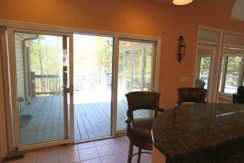 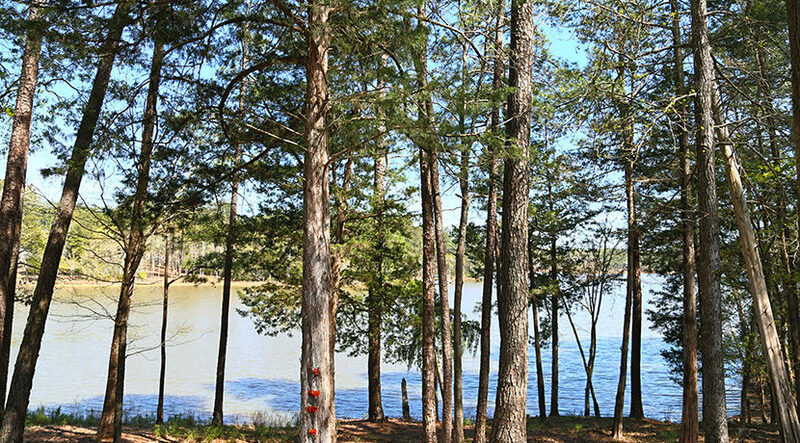 It is located in the Shenandoah Subdivision with unobstructed views of the lake. 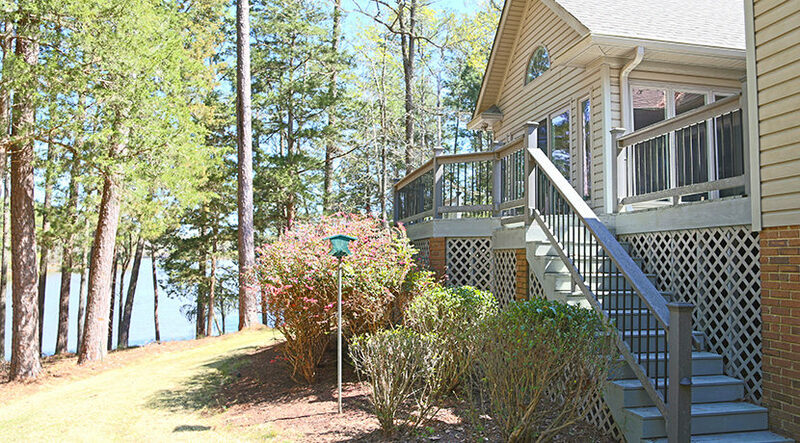 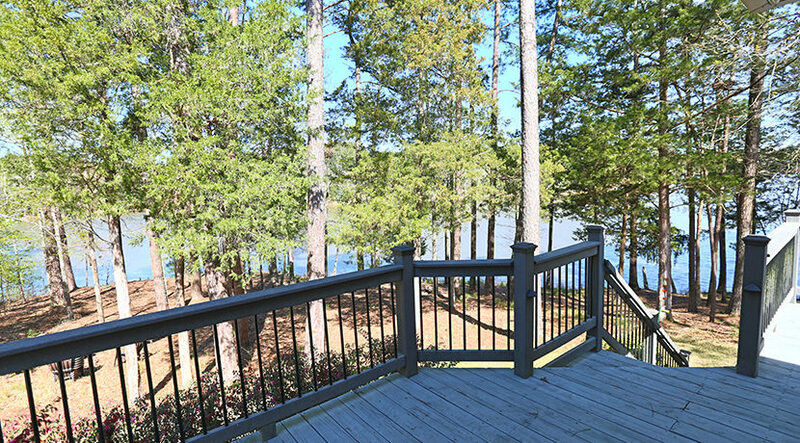 Sitting on a point lake lot, you are in front of all the other lake homes giving you more than 250 feet of water frontage as well as privacy. 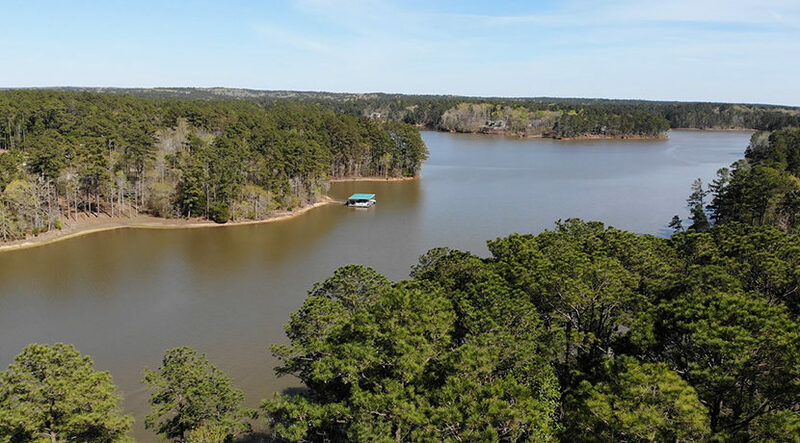 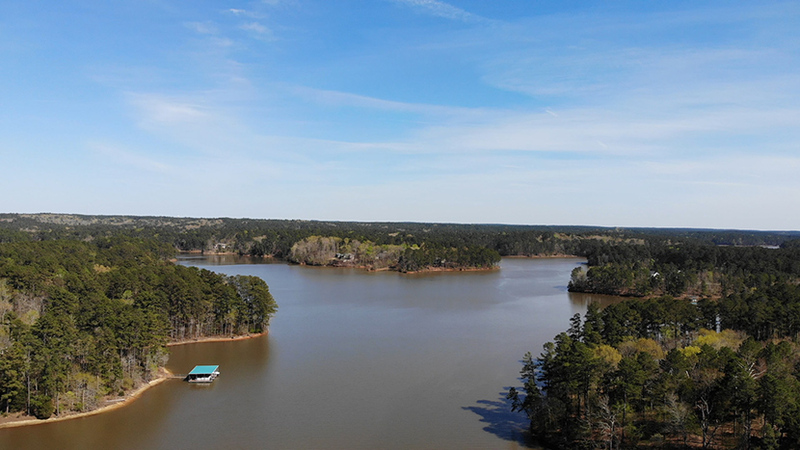 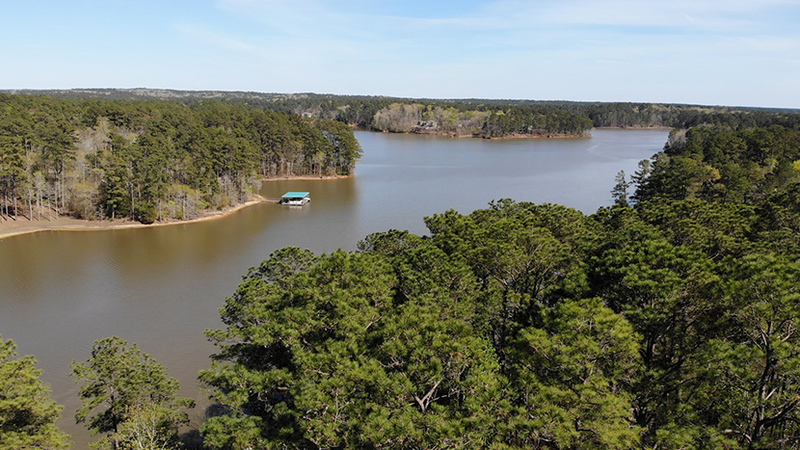 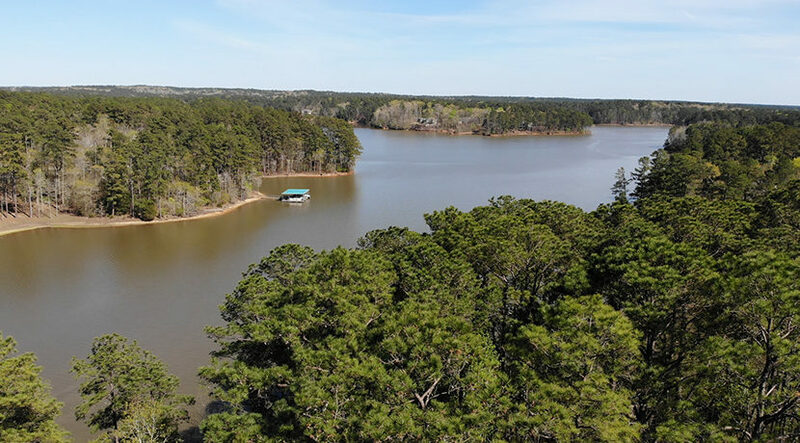 With over a half acre of waterfront property, on one of the largest lakes east of the Mississippi, a whole new world will open up to you when this becomes your new place to call home! 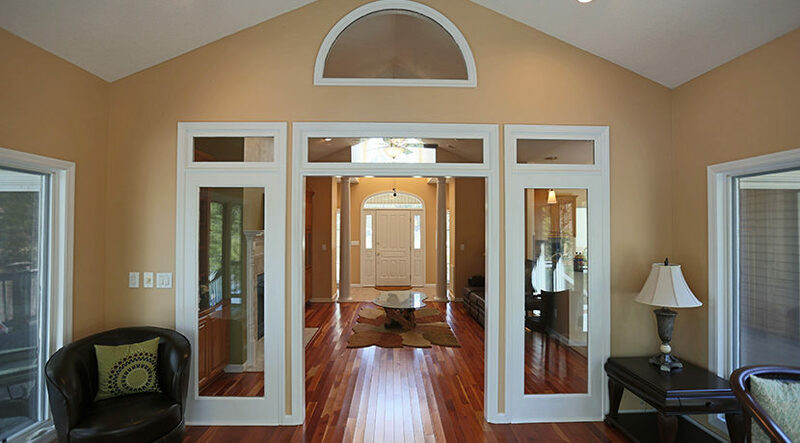 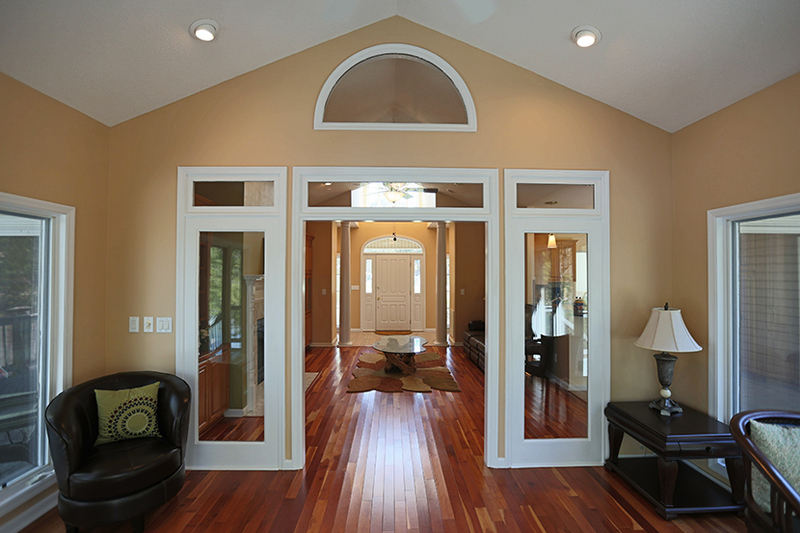 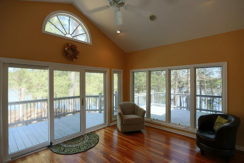 As you enter this house, the first thing that grabs your eyes is the view straight through the living area to the lake. The next is the flooring, strikingly beautiful and made of American cherry hardwood. 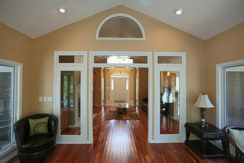 Framing the living room from the entrance way are two floor to ceiling pillars. 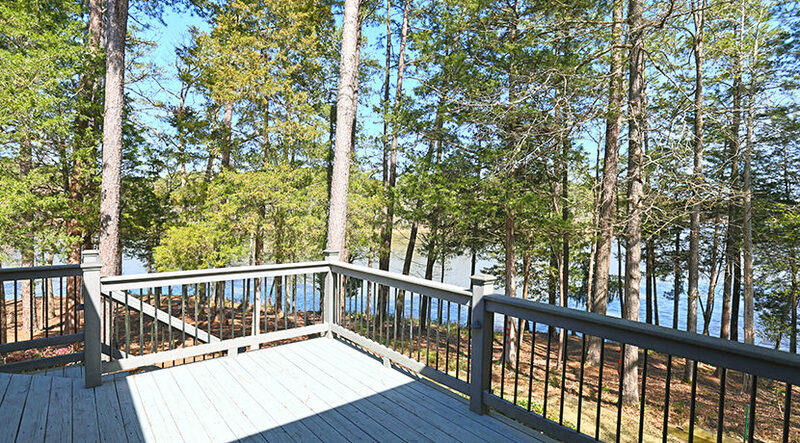 Not only do you get the great views of the lake, but the high ceilings and abundant windows bring in an abundant amount of light. 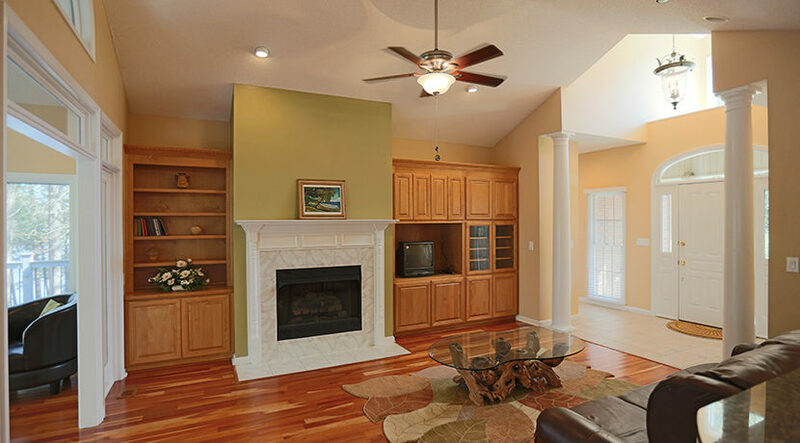 The gas fireplace gives you that warmth and cozy atmosphere we all desire. 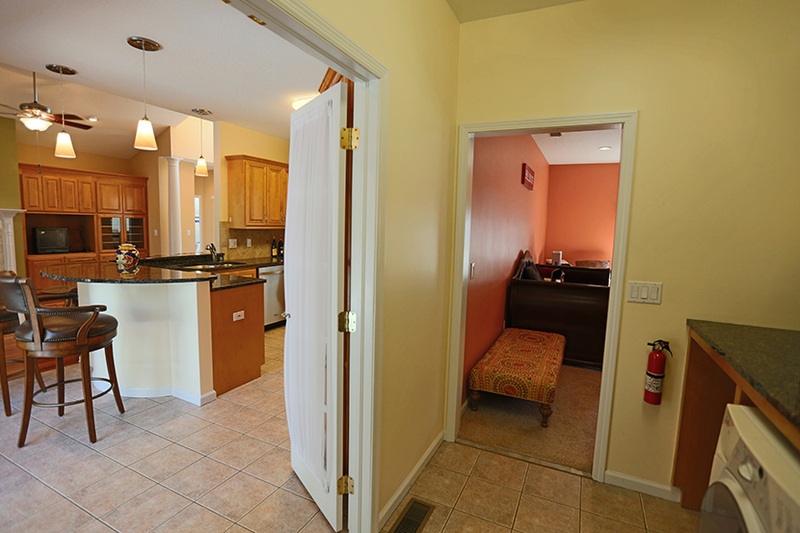 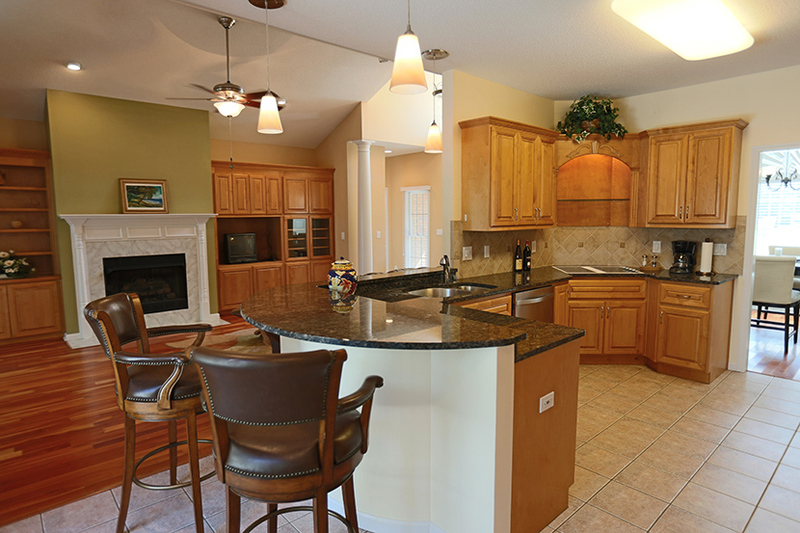 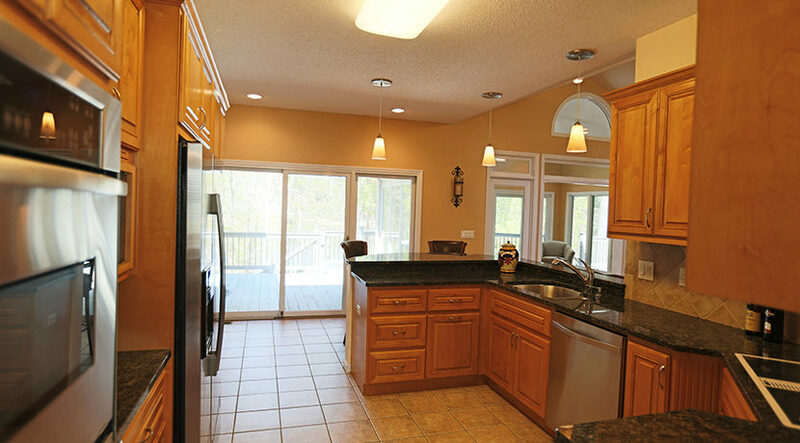 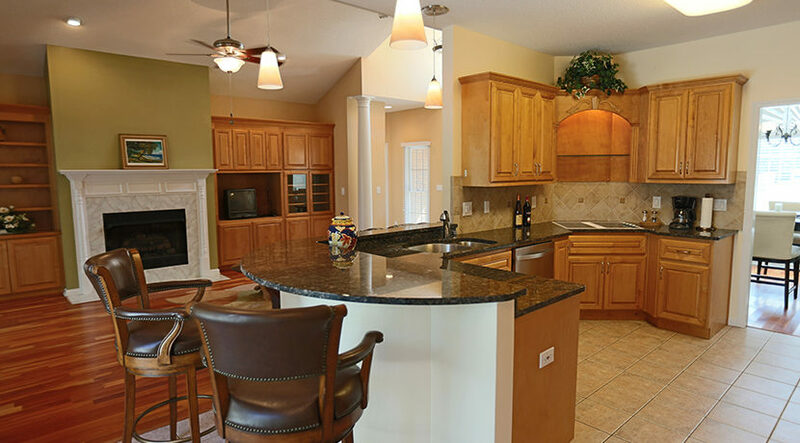 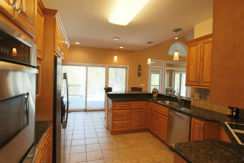 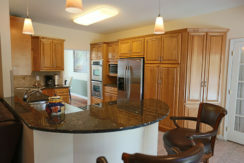 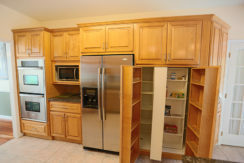 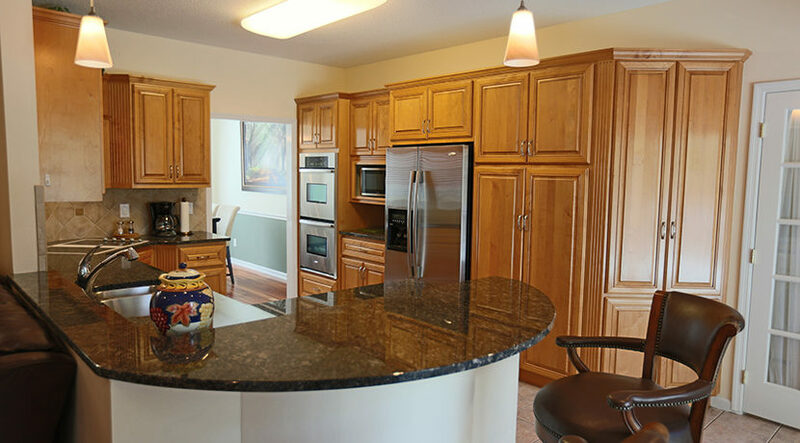 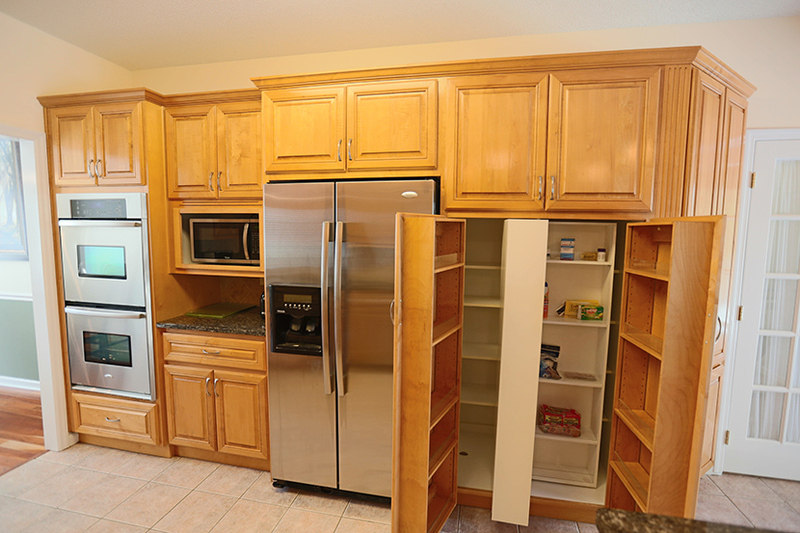 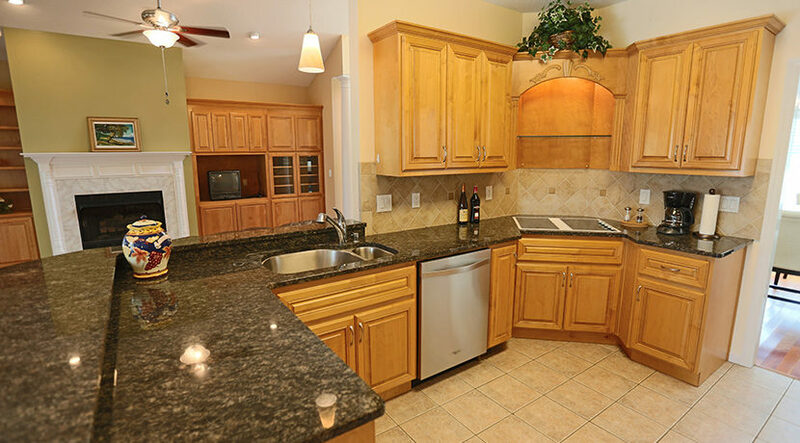 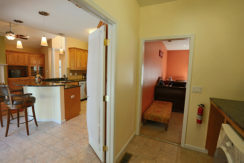 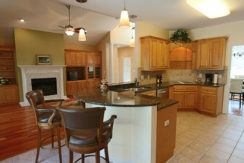 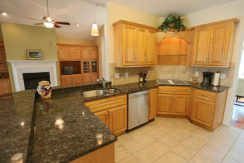 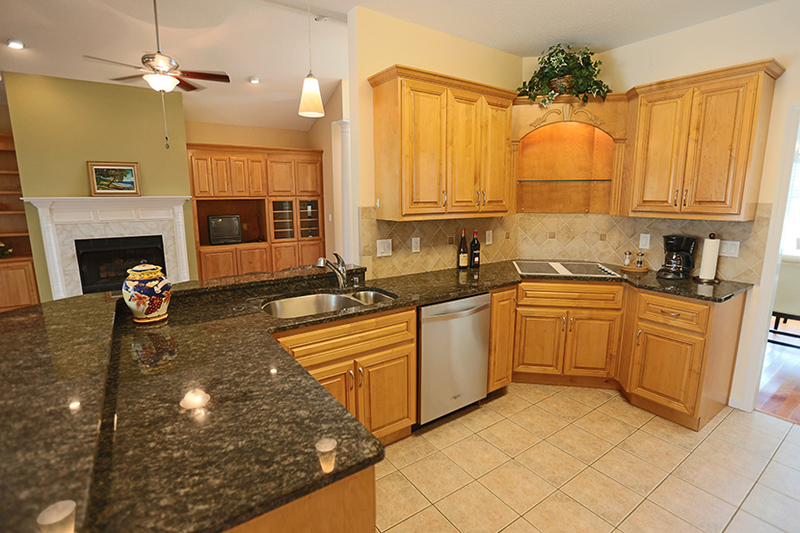 The kitchen has granite countertops with tile floors, a double oven, pantry and new Moen faucets and fixtures. The appliances are new and remain with the home. 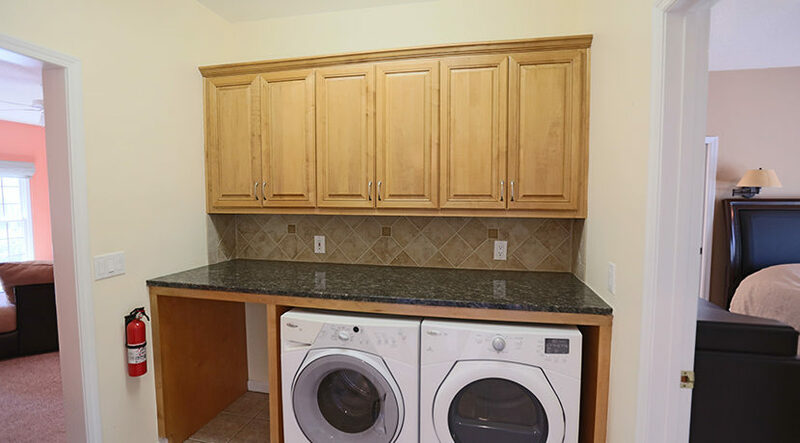 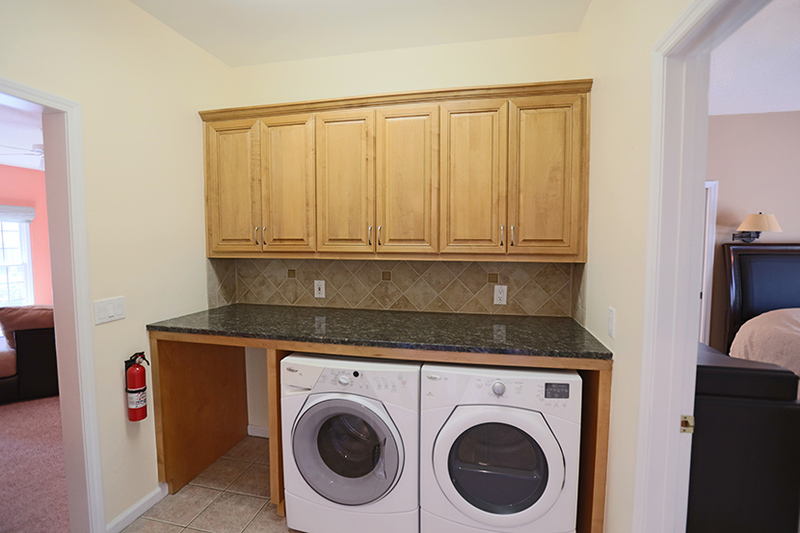 The laundry room is conveniently located next to the kitchen as well as the Master bedroom and has granite countertops as well. 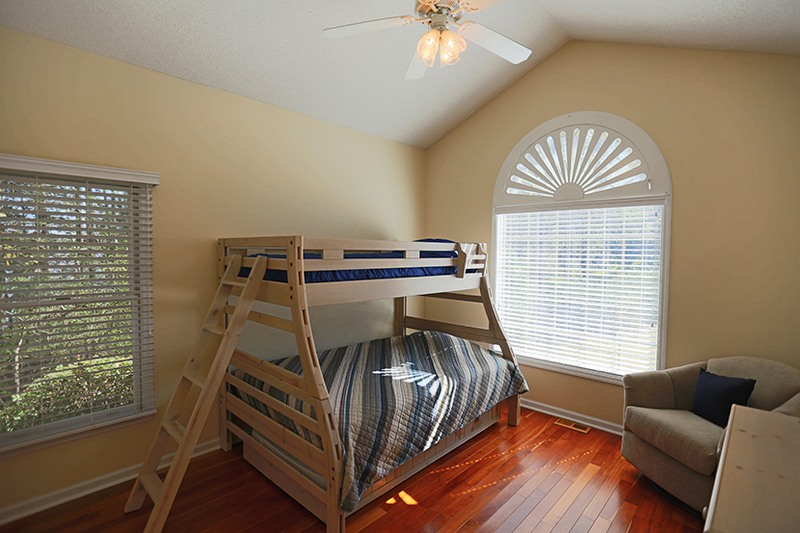 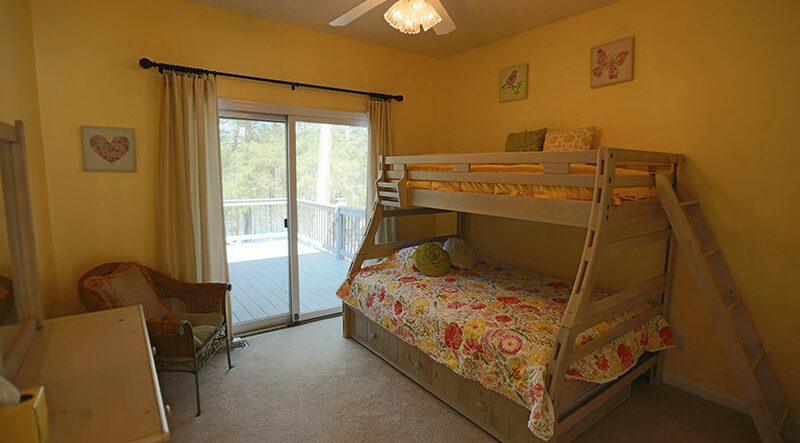 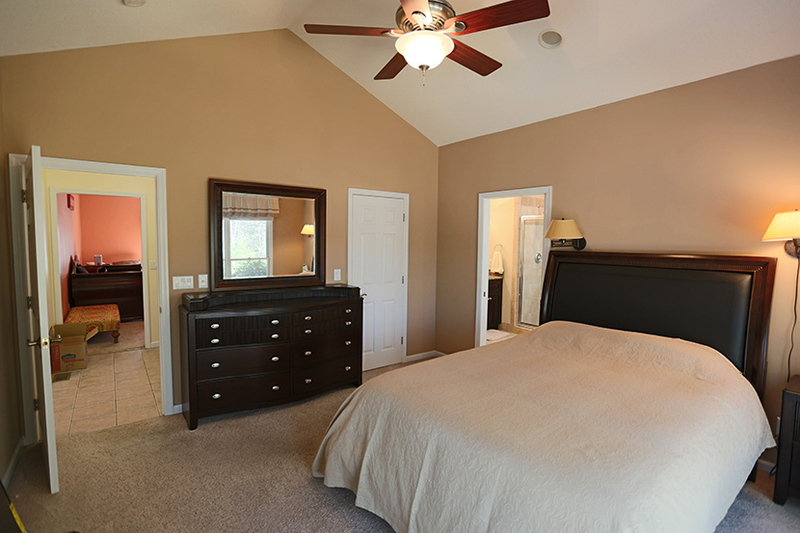 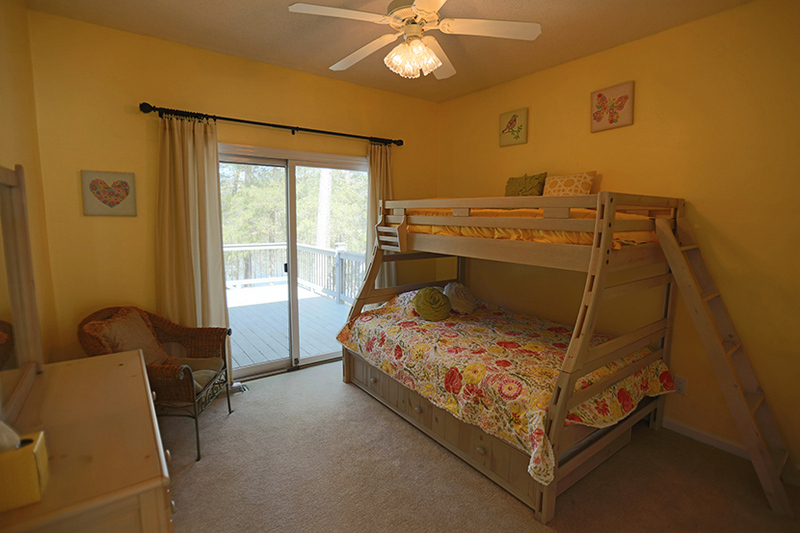 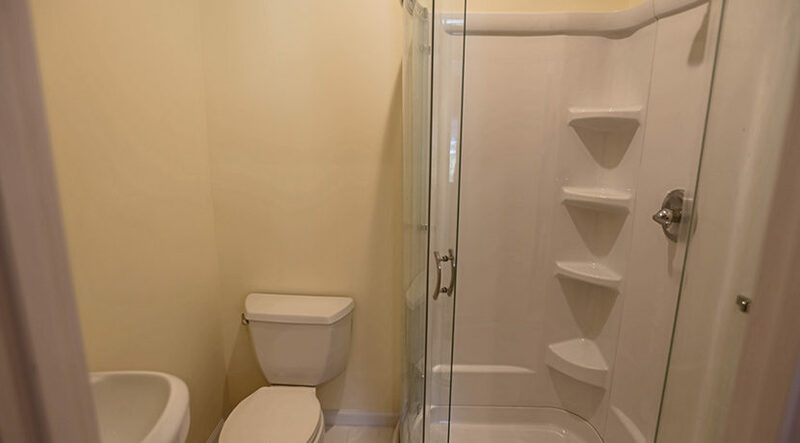 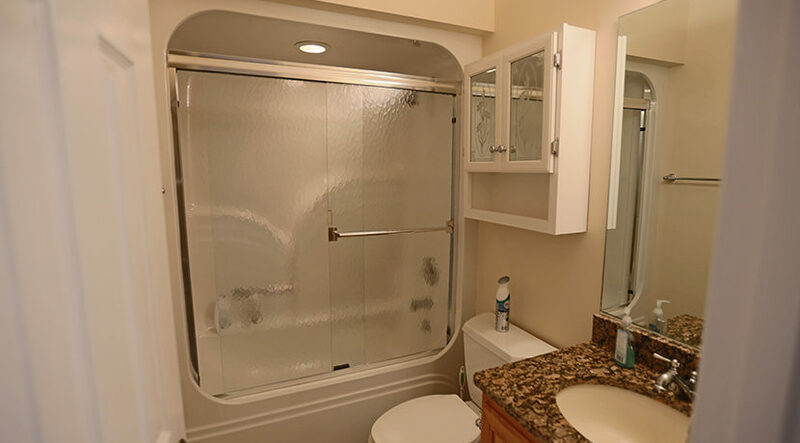 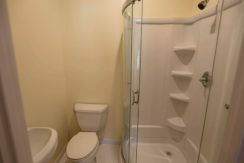 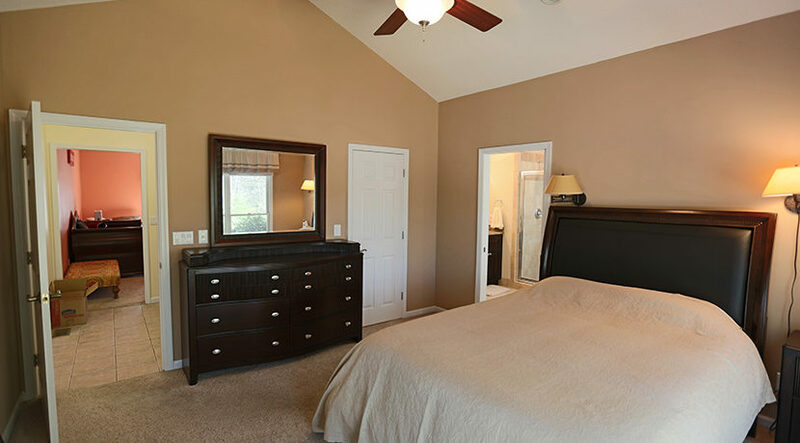 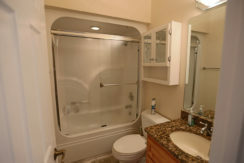 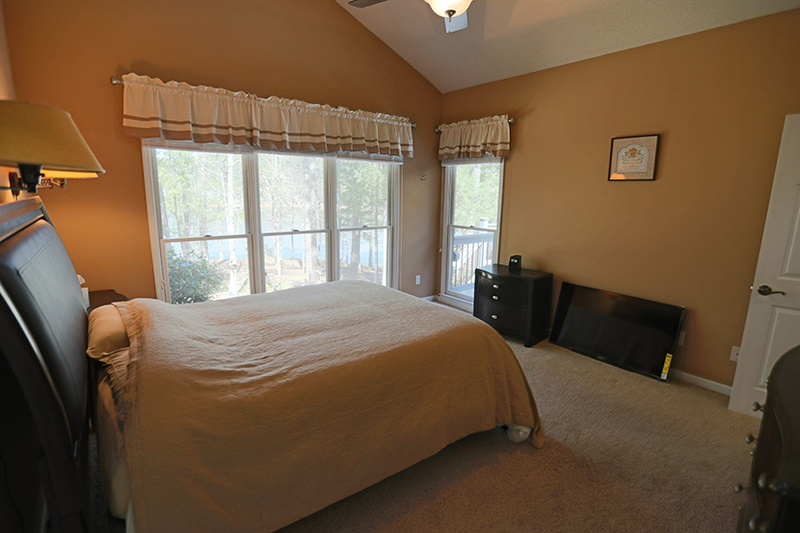 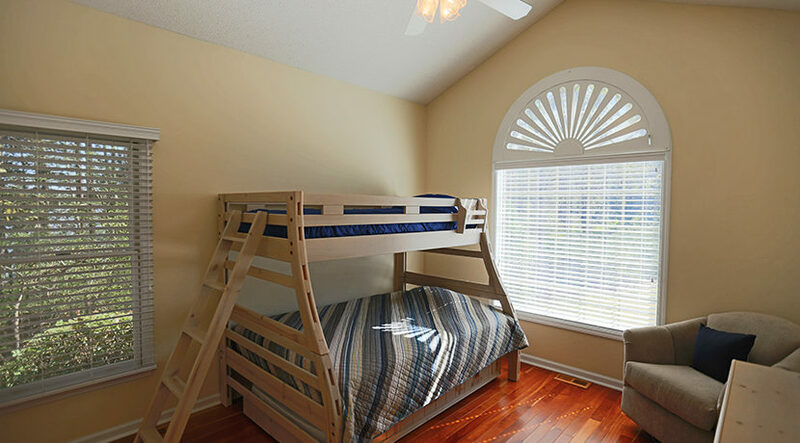 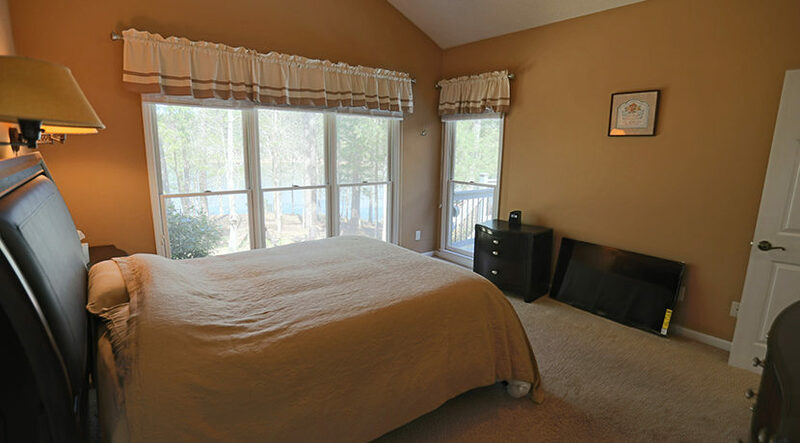 The Master bedroom has carpet, a large bathroom, a tiled walk-in shower, two sinks and air jetted soaking tub. 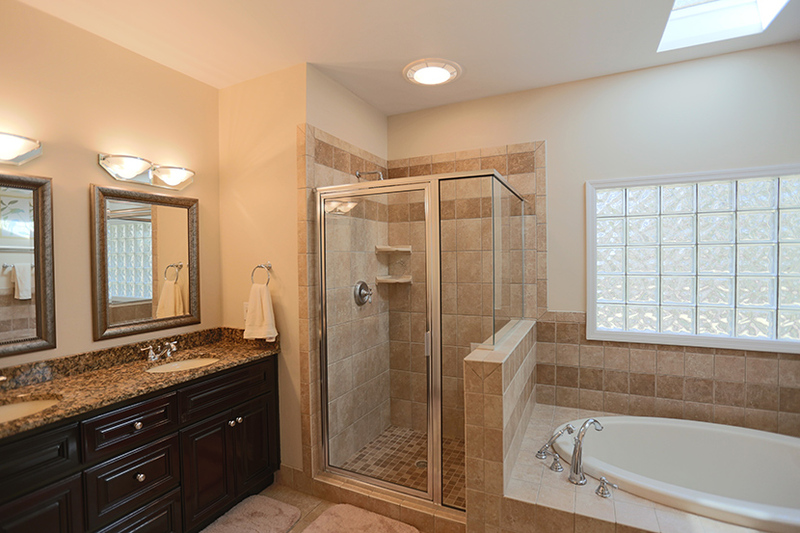 With a circulating hot water pump, you have hot water on demand at all times. 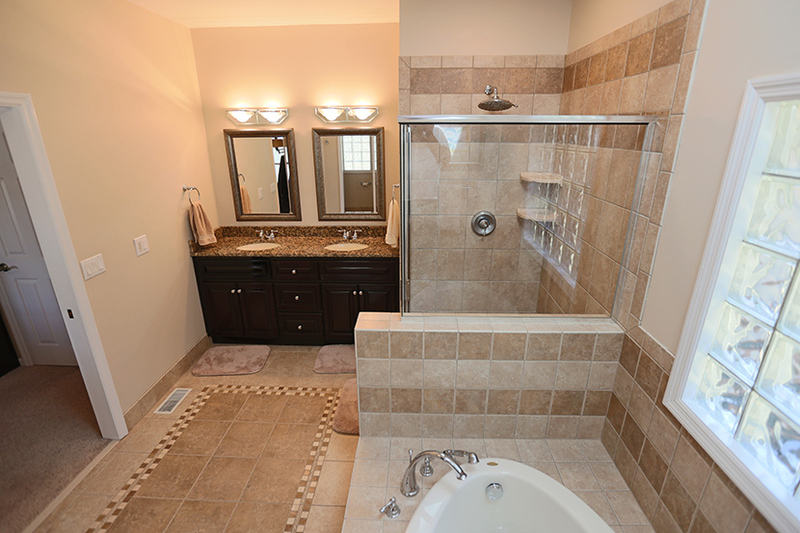 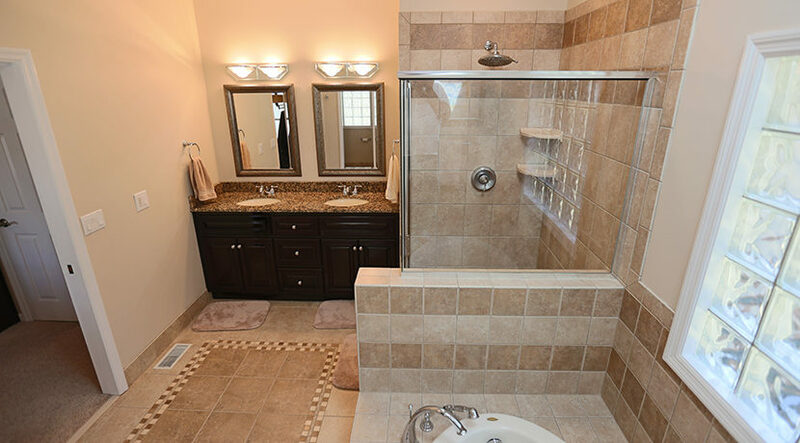 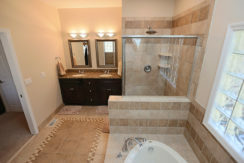 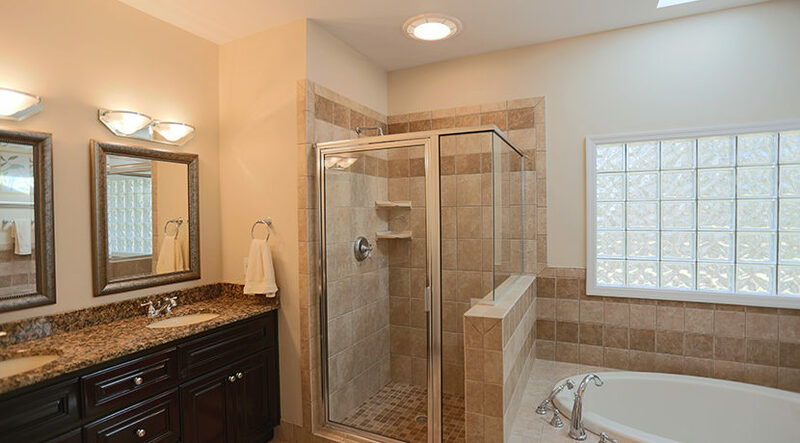 Both the master bath and guest bathroom have granite countertops. 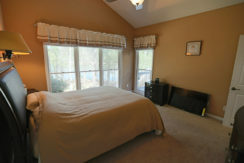 The other two bedrooms are located on the opposite side of the house. 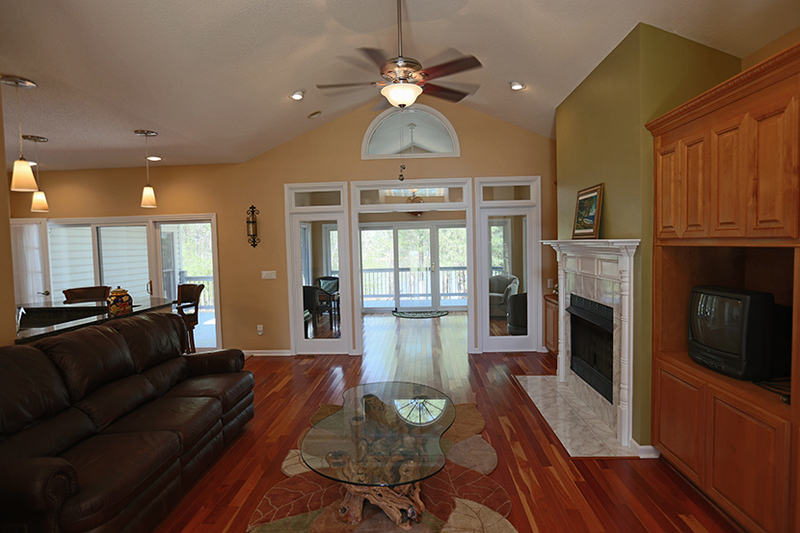 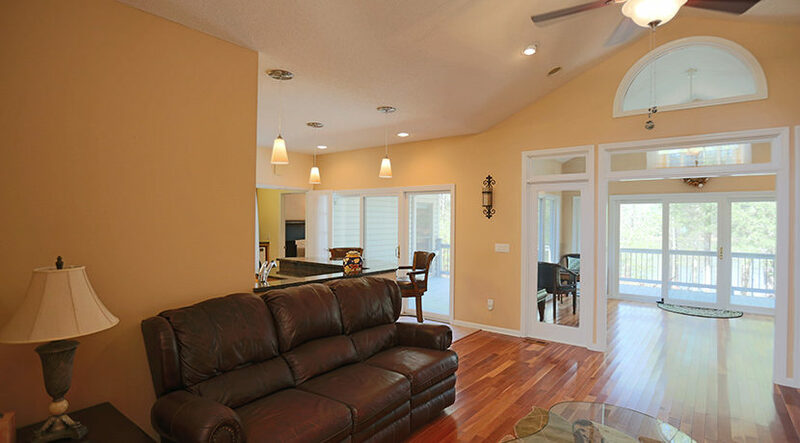 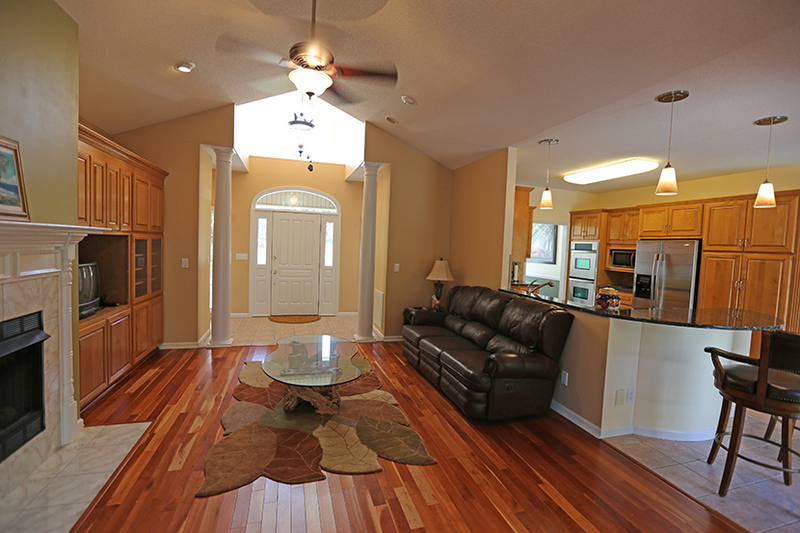 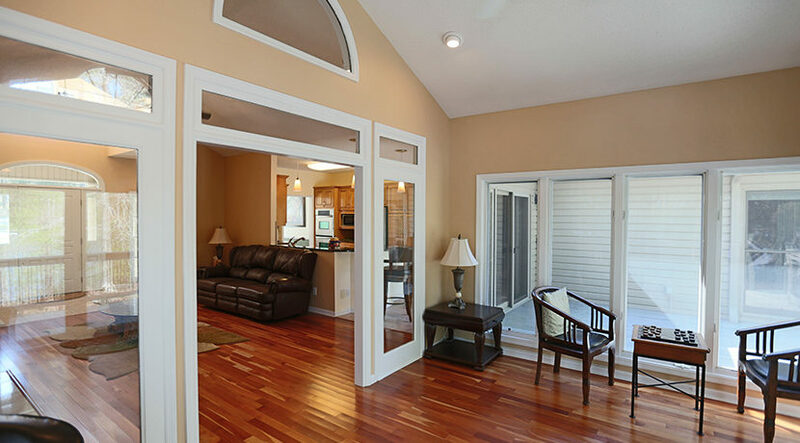 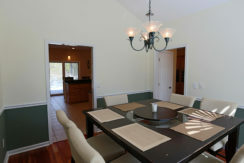 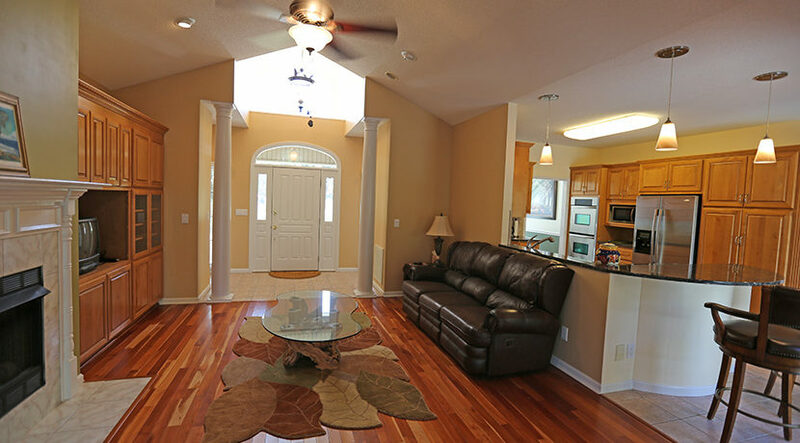 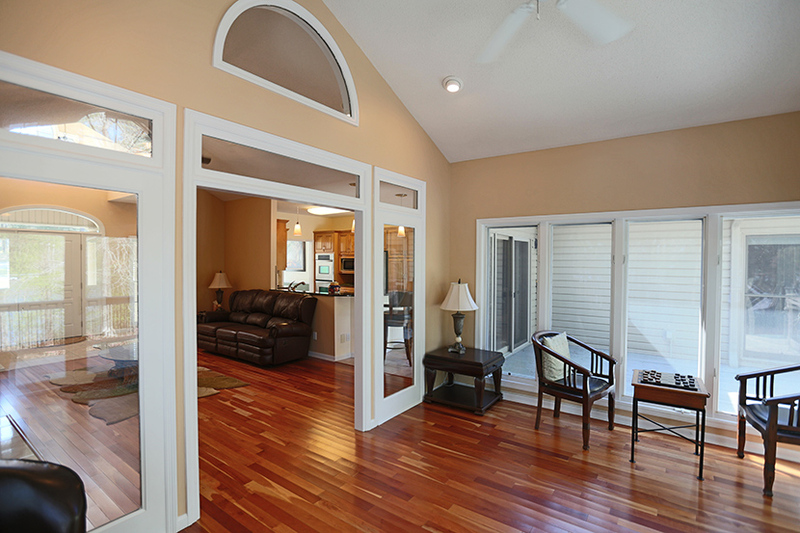 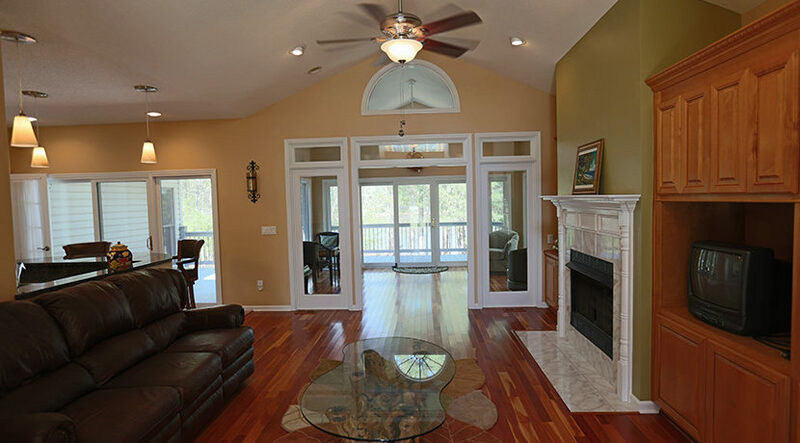 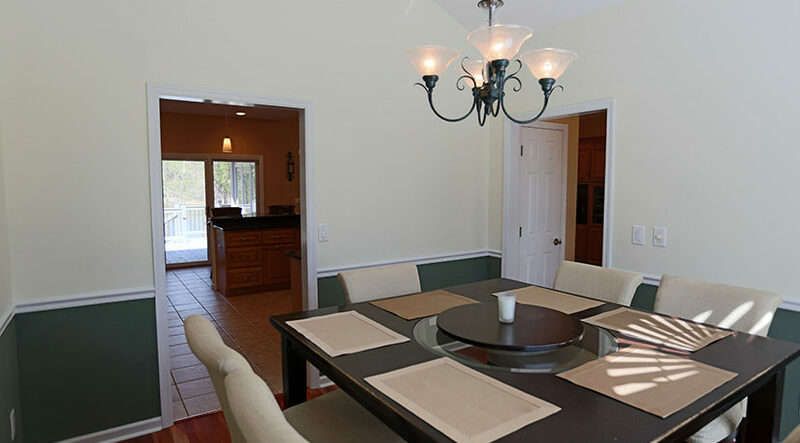 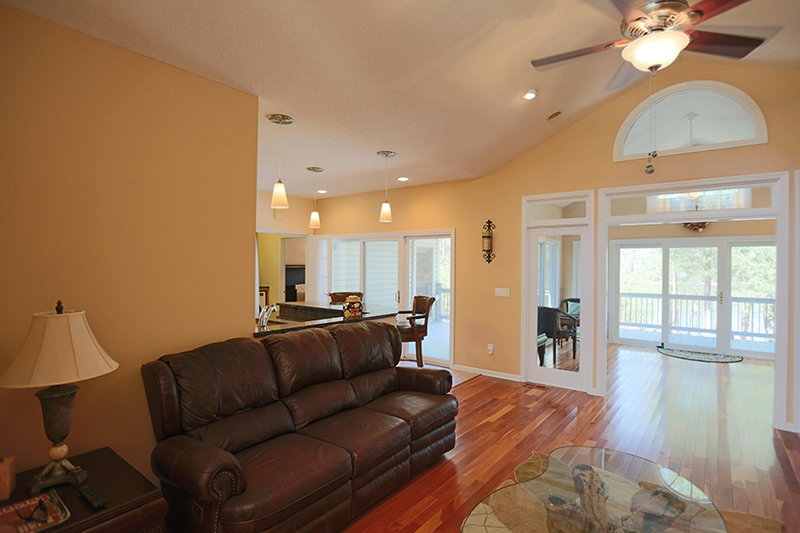 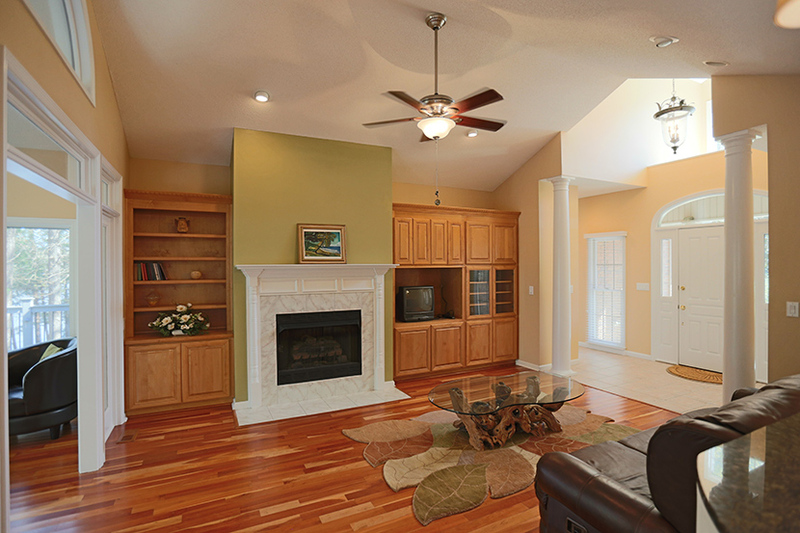 The living room, formal dining room plus Sunroom have hardwood floors. 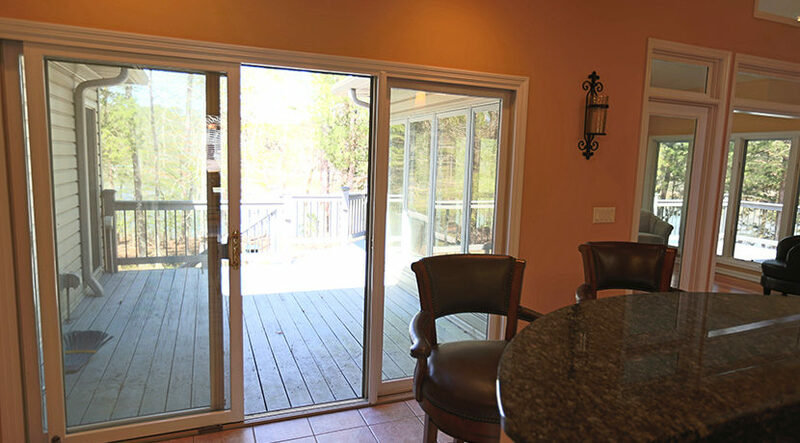 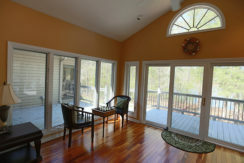 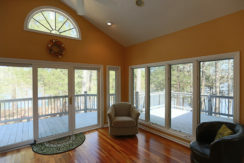 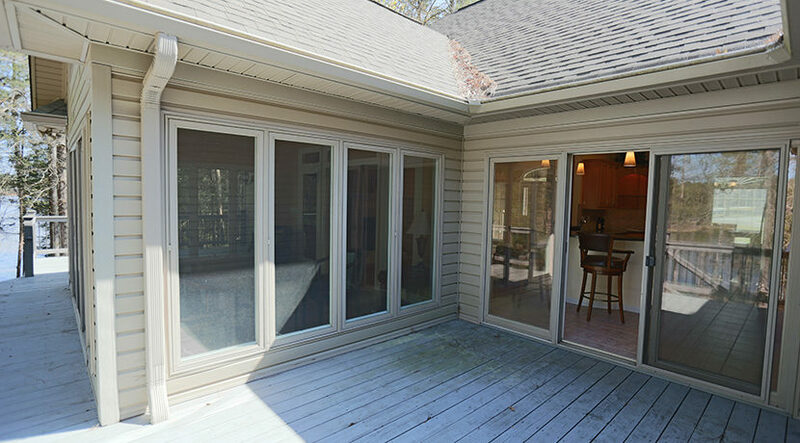 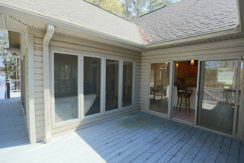 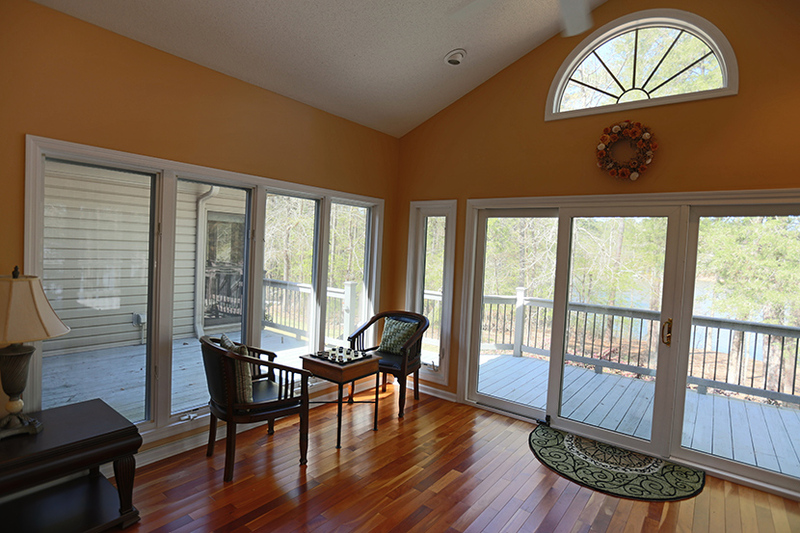 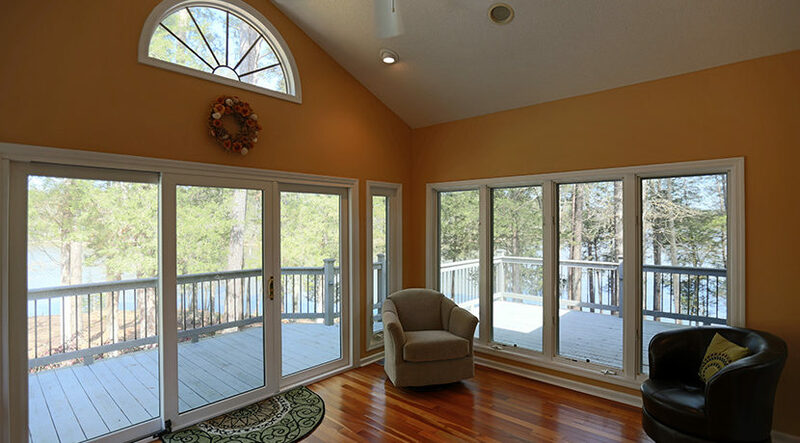 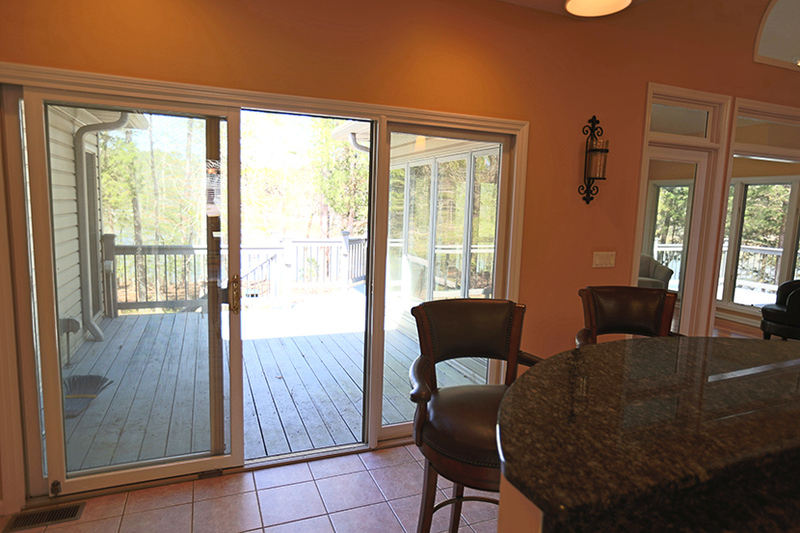 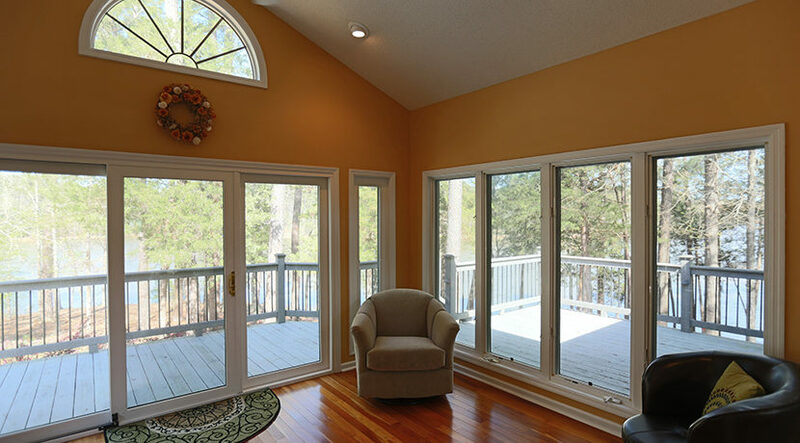 The views from the year round Sunroom are truly extraordinary with water in every direction. 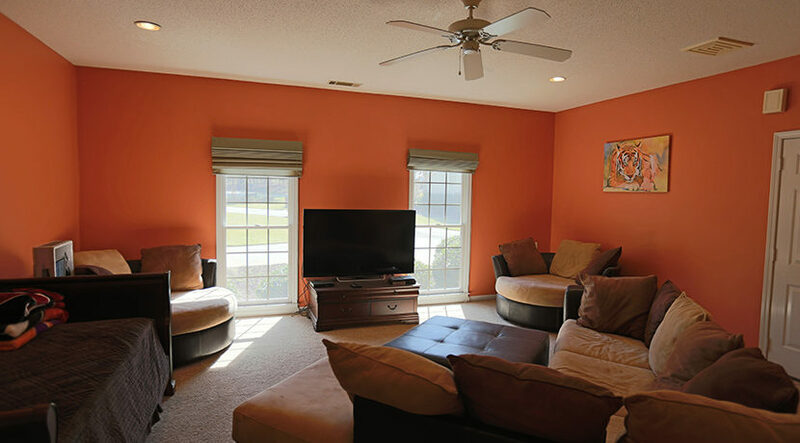 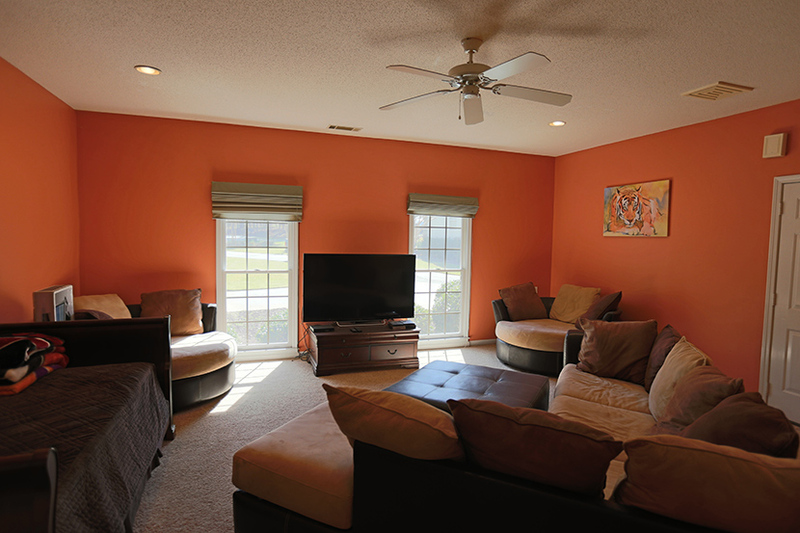 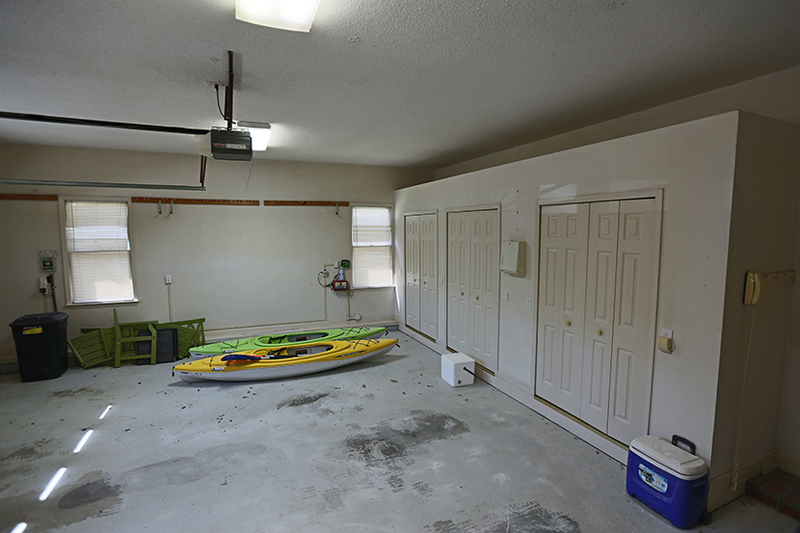 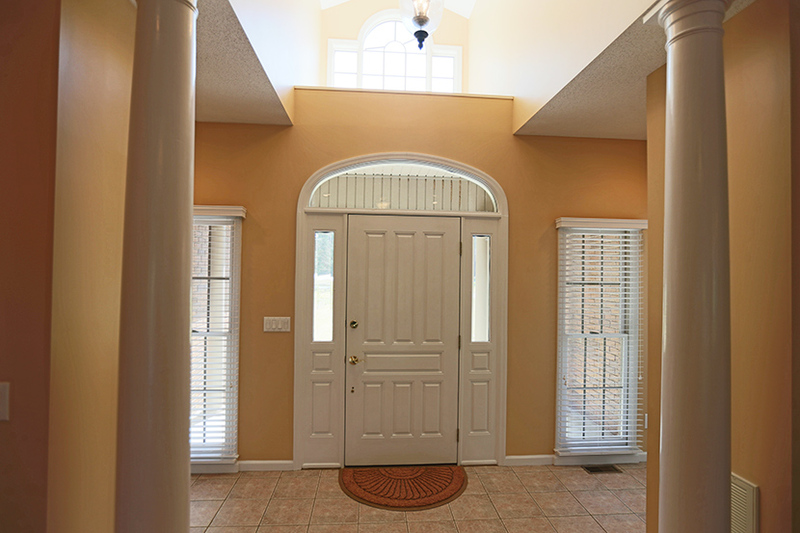 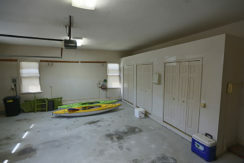 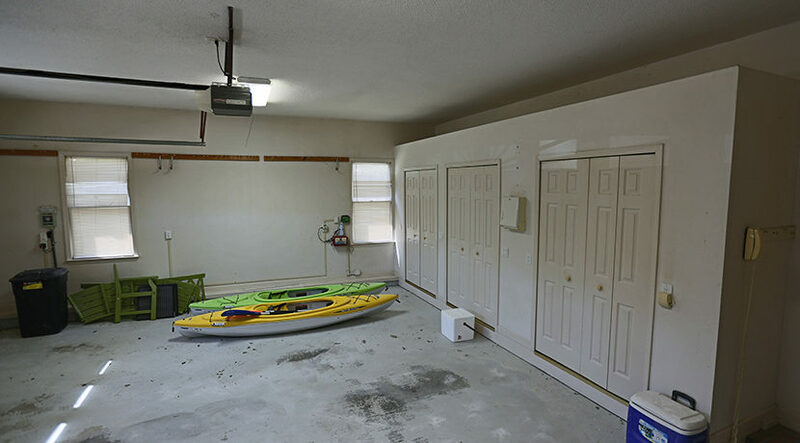 In addition, there is a large Family Room with a half bath. 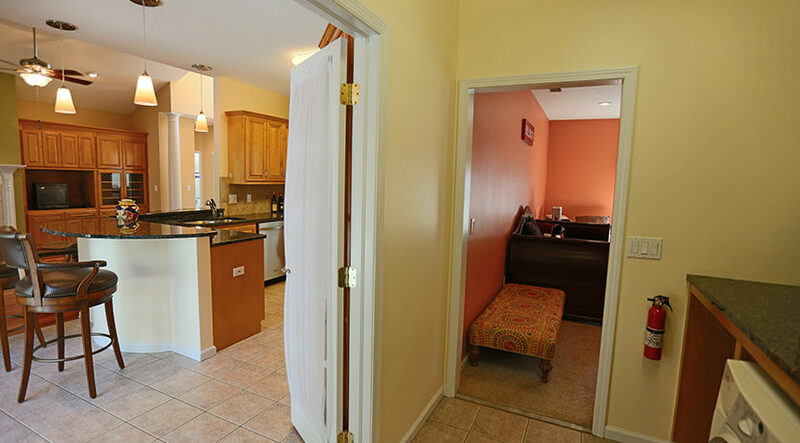 This area gives you plenty of extra private living space. 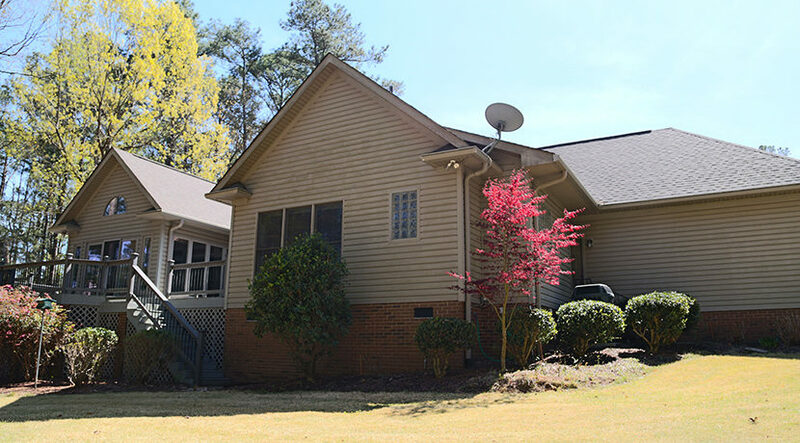 There have been many upgrades to this property since it was built such as new roof in 2012, refurbished deck in 2011, Trex railings installed, gutters with integrated K-Guard gutter guards in 2012, A/C Heat Pump in 2007, a hot water heater, landscape lighting and new appliances. 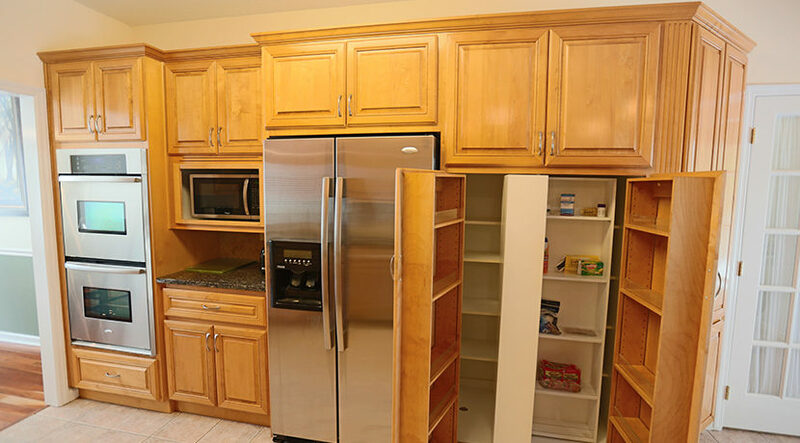 You can be assured this home has been lovingly taken care of.